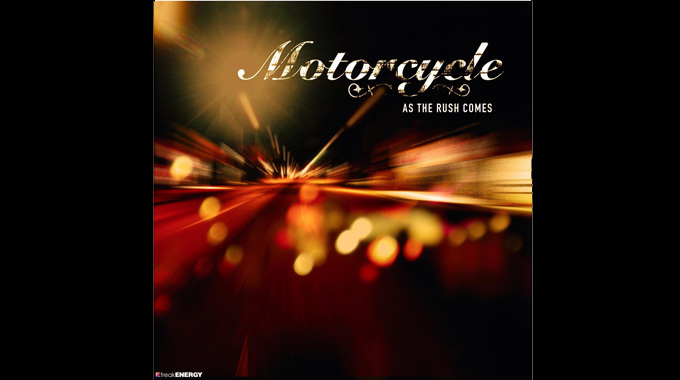 Motorcycle are american producers Josh Gabriel and Dave Dresden together with the singer Jes Brieden. The track came out in 2003 with remixes from Armin Van Buuren, Markus Schulz and Above and Beyond just to name a few. But the best remix IMHO is the Gabriel and Dresden Remix with the high reverb, the sweet strings and ofcourse the lovely vocals by Jes. The track topped alot of charts including Billboard where it became no1 in 2004. After the single ”Around You”, Jes Brieden, went to work on some other projects with D:Fuse, Deepsky, and Solar Stone just to name a few. She was signed to Tiëstos label, Black Hole Recordings where she released her first Solo-album, ”Disconnect” in 2007. The album contains the Motorcycle-track ”Imagination” and also the Solar Stone-track ”Like A Waterfall”. Since then, she has sung on tracks from BT, Tiesto and Cosmic Gate just to name a few. She also released her second album ”High Glow” in 2010. Gabriel and Dresden started out as a duo back in 2001 as remixers for New Order, Way Out West and later made a name for themselves with the release of their first single, ”Lament”. Since the release of Lament, they have been really busy, as remixers, producers and Djs. Their mixalbum, ”Bloom”, released in 2004 is legendary and contains loads of own production and remixes. In 2005, Gabriel & Dresden started their own label, Organized Nature and later in 2006 their first self-titled album, Gabriel & Dresden which contains the hit singles, ”Tracking Treasure Down” and ”Dangerous Power”. While working as a duo, Josh Gabriel also released some track under the projects Andain (with singer and songwriter Mavie Marcos and guitarist David Penner though David Penner later quit) and Winter Kills (with singer Meredith Call). On the 30th of march 2008 Gabriel & Dresden decided to call it quits and went solo. Josh Gabriel put all his efforts in his Winter Kills-project while Dave Dresden teamed up with Mikael Johnston to form Dresden and Johnston. The new production Duo went on to remix a number of artists including Nadia Ali’s Love Story and Enrique Iglesias’s Tonight, all of which hit the #1 position in Billboard (Magazine)’s Hot Club Play Dance Chart. The Winter Kills-album, entitled ”Winter Kills” included the hit singles ”Deep Down” and ”Hot As Hades”, 2 personal favourites, especially the remixes by Alex M.O.R.P.H. And John O’Callaghan. On NYE 2010 Gabriel & Dresden teamed up for a special gig and has officially been back togheter as a duo since.